Once you have scanned and removed all diseased and blocked energies, it is time to fill the energy chakras with new energy. After you remove all diseased energy by scanning, feeling, sweeping and flicking the diseased energies (see step 4 on how to do this by clicking HERE), you are ready to energize the energy chakras. So here is the process on how to do this. Remember that when you were scanning and cleansing the body, you were standing next to the body. Imagine them lying there in front of you and bring your hands and fingers together and imagine yourself placing both hands close together on their crown. Your will start with the energizing the crown chakra. Your crown chakra is cleansed, it is cleaned, and it is clean. Your crown chakra is happy, it is healthy, it is healed. Your crown chakra is activated, it is energized and it is filled with liquid white light. See yourself sending energies into the crown chakra with your hands. See liquid white light flowing from your hands into the crown chakra. See the crown chakra start to move as it is activated. See the crown chakra start to vibrate as it is energized. Feel how happy it is. See this in your mind’s eye. What does it look like as it is moving, vibrating and energizing? Keep your hands over it and continue to send energies to it with your hands. Your crown chakra is spinning freely and it is open. Now watch it spin, watch it move in a circle and spin in a circle. Feel the buzzing as it is moving in a circle. Watch the colors and white light as it spins. What does it look like? Watch its beauty. Watch the inside of the crown chakra as the petals start to open. Watch the white light flow out of the crown chakra upwards to infinity as it opens. See the liquid white light burst into infinity above the crown as it completely opens. Watch this as it happens. See its beauty. See this all happening in your mind’s eye. Feel the immense energies of this liquid white light as it bursts out from the crown chakra. You are there, you are doing this and you are flooding the crown chakra with your love and your intention to heal. Feel this and see this. Throughout the energizing of all the chakras, keep your hands on the crown. It is very important that you say the above words in bold for each chakra that you work on. Take your time and visualize everything that you visualized with the crown chakra. Try and see the work that you are doing based on what you say. See the chakras cleaned and cleansed as you cleaned them. See yourself cleaning them. Again, take your time. This is not a race. You are helping to heal another soul. That has tremendous responsibility so you want to be accurate and not rush. See the chakras happy, healthy and healed. See their radiant colors. See the chakras activated and energized. See them moving as they are activated and energized. See yourself filling each chakra with liquid white light from your hands. See the chakras filling up with liquid white light. See the chakras now spinning in a circle with joy fully healthy and alive. See all the petals of all the chakras opening up and see the light bursting in all directions to infinity from the body. Feel and hear the buzzing of the chakras as they are spinning. __________(person being healed), all of your chakras, major, minor and mini are cleaned and cleaned and are all clean. They are all happy, healthy and healed. They are all activated and energized and filled with liquid white light from Source’s heart. They are spinning freely and they are all wide open. As you say these words, see the chakras collectively all clean. You are now seeing the full body and not the individual chakras. See the chakras all happy, healthy and healed. 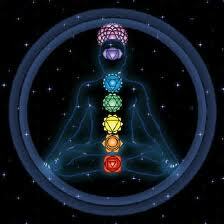 See the chakras being activated and energized. See all of them moving and glowing as they are energized. See the liquid white light flowing from your hands to all the chakras. Arch Angel Raphael, please be with me right now. Arch Angel Raphael, please seal all of the chakras with your emerald green light so that the energies do not leak and so that the energies stay with ___________(person being healed). They watch what he does. What is he doing? Try to see him sealing each energy chakra. See the chakra fully sealed where no bad energy can enter. See the emerald green protective seal around each charka. Go through each chakra as outlined above. After all the chakras are sealed thank Arch Angel Raphael and wait for his response. What does he say to you? After you do all of this, you have now energized all of the energy chakras in the person’s body. The next posts will go into detail on how to remove karma and cords and attachments. Happy healing everyone! Love. This entry was posted on June 30, 2013 by Andrew Bojarski in Andrew's Posts and tagged Arch Angels, Ascended Masters, Ascension, Awakening, Channeling, Energy, Energy Healing, Healing, Higher Self, Love, Meditation, Spirituality.